Simple, really. Chaga (Inonotus obliquus) truly is a great medicine – not because the latest health magazine said so, but because it passes two important criteria when evaluating credibility: 1) Chaga retains historical use as a medicine, and 2) Chaga has been well researched, demonstrating diverse pharmacological activity in numerous scientific studies. Yet, as it turns out, the same holds true for many other wild species – including mushrooms, plants, and yes… even animals. The word has gotten out. Chaga is apparently the medicinal superstar of the fungal kingdom. This prestigious prize, however, is awarded at a cost. Supplement companies are capitalizing on its value, requiring a continuous supply of the fungus for sales. Mushroom hunters are seeking out the wild conks, and in some cases poor harvesting techniques are utilized, causing more harm than is needed. Chaga, without a doubt, performs an essential role in its ecosystem, and any unnecessary disturbance to this balance could potentially produce disastrous long-term consequences. Paul Stamets has discussed this issue in depth while suggesting a shift toward the use of cultivated chaga mycelium as a solution (1). For some of us, sustainability is a concern. Yet for others, access to wild chaga is the issue. Many of us do not live in a habitat that hosts this fungus. What are we to do in these particular instances? You see, as remarkable as this organism is, it’s not the only one that can do what it does. Many other species impart similar benefits to the human body when ingested, and in some cases, these species contain the same exact chemicals and compounds that are responsible for chaga’s effects. Sometimes (gasp), other species medicinally outperform our beloved chaga (I know, I know… in the words of Metallica, “Sad But True”). Well, it just so happens we can essentially receive the benefits of the chaga mushroom … without consuming chaga. Now, before we proceed, I’ll provide this little disclaimer: Yes, I am aware that an organism cannot be reduced down to its chemical components. I have written about this in the past. We cannot simply create the whole of anything from its myriad parts. Nature doesn’t work like that. Chaga constitutes much more than every compound ever isolated from it, and to suggest we can fully substitute this fungus with another species – while receiving all of its exact benefits – is silly. This article is meant to provide options on how we can receive similar health benefits using a variety of plant and fungal medicines in the event we do not have access to chaga, and ultimately in an effort to protect and preserve the niche that chaga occupies in the wild. Have you spoken to anyone lately about the medicinal actions of chaga? Mm hm. And did they happen to mention the word “triterpenes?” Mm hm. Thought so. Speak to anyone about the medicinal actions of chaga, and this is a term you’ll most likely hear. Triterpenes. What the heck are those? The simple answer (chemists, bear with me) is that triterpenes are naturally occurring compounds that provide a wide spectrum of biological activity. They’re extremely common in nature. Why should we care? Well, triterpenes happen to be quite medicinal. Chaga is notoriously hailed for two of its medicinal compounds: betulin and its derivative, betulinic acid (2, 3). Betulin is a triterpene, while betulinic acid is a derivative of a triterpene, known as a triterpenoid. These molecules are concentrated in the outer black portion of the fungus and can be extracted most effectively for human consumption with non-polar solvents (i.e. alcohol). 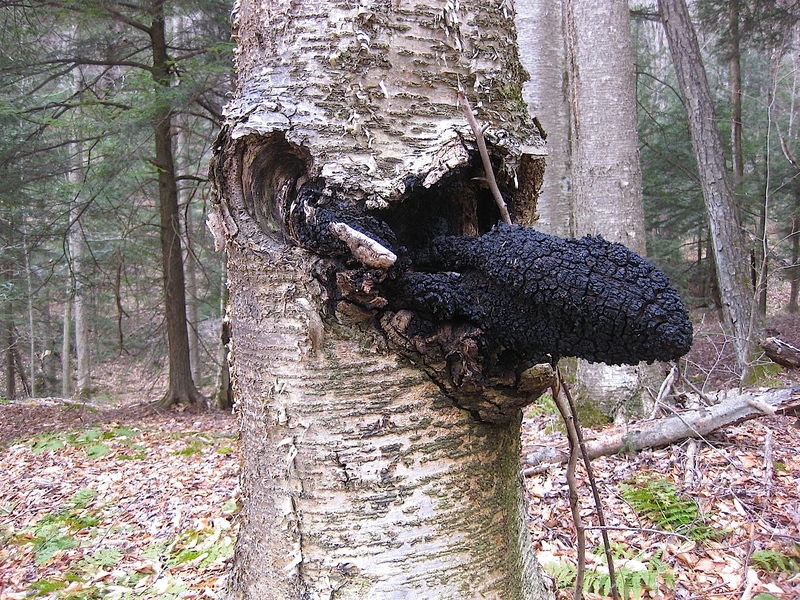 As chaga is essentially a parasite to its host tree (most commonly a birch tree, genus Betula) it’s not hard to imagine that many of its compounds will be derived from the birch tree. This is what we see with betulin and betulinic acid. Both compounds are created in the outer bark of birch trees, with betulin found in much higher concentrations than betulinic acid (6). An additional compound found in the chaga fungus with origins in the outer bark of birch trees is lupeol. Lupeol, another triterpene (gotta love them), has been shown to possess anti-cancer, anti-inflammatory, and anti-microbial properties (7). Because the birch tree naturally contains many of the medicinal compounds found in chaga, we can utilize this knowledge by using birch bark for medicine, sparing the chaga fungus itself. All 3 of these compounds – betulin, betulinic acid, and lupeol – are most effectively extracted via non-polar solvents, such as alcohol, due to their chemical structures. Vinegar (i.e. acetic acid) may also be an effective solvent (8). Of course, ruthlessly hacking away at birch trees to obtain their bark is no sustainable solution. Wounded and barkless birch trees, though still harboring plenty of chaga, is not the image I’m envisioning. All foraging practices would benefit from responsible and conscientious harvesting methods – for example, extracting birch bark from recently felled trees or branches to use as medicine (live trees may harbor more medicine, though recently felled trees will still be effective to a degree). In addition to its bark, the birch tree also concentrates betulin in its sap (9). 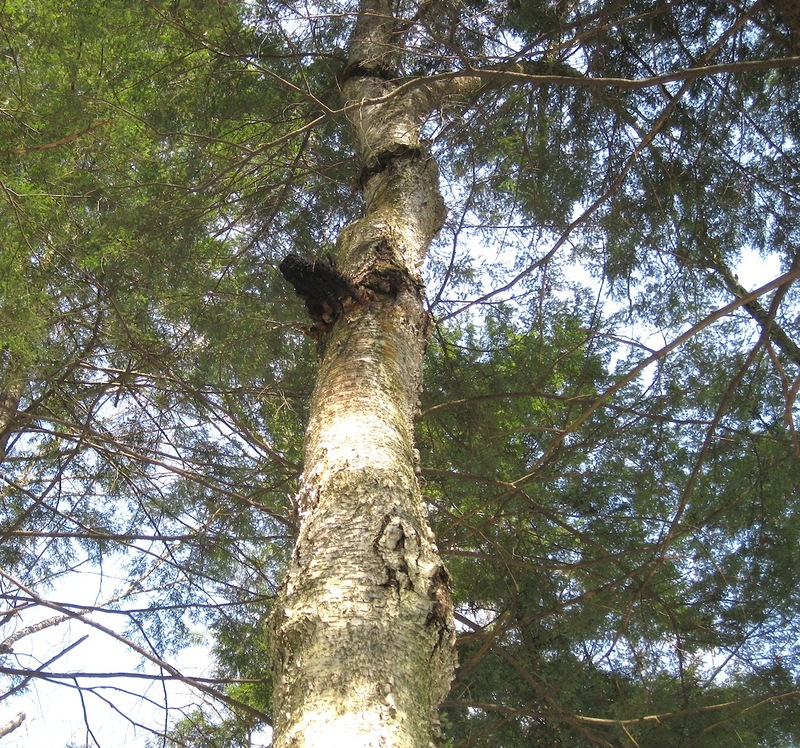 Though not as high in sugar as maple trees, birch trees can successfully be tapped to yield drinkable sap, which can eventually be turned into syrup. 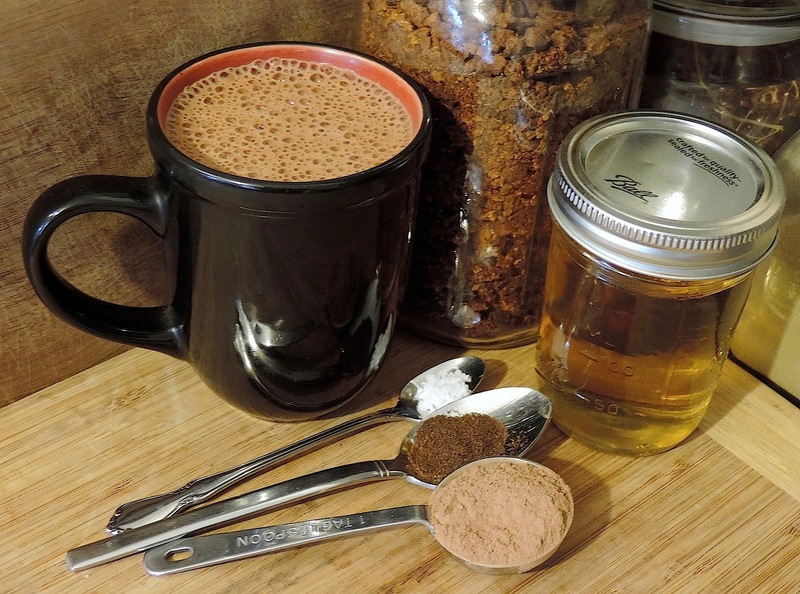 Useful alternatives to chaga may include other species that utilize birch as their host tree. Birch polypore (Piptoporus betulinus) is a fungus that generally grows on dead birch trees and logs. A fairly common mushroom, it contains many of the same medicinal compounds as chaga, notably the triterpenes. For example, birch polypore possesses betulin, betulinic acid, and lupeol, and while its content of betulin is much lower than that of chaga, it contains a significantly greater concentration of lupeol in certain extracts (10). Betulin and its derivatives can additionally be found in other species. Alder trees (genus Alnus) contain all 3 aforementioned compounds – betulin, betulinic acid, and lupeol (11). Not surprisingly, Native Americans used alder tree bark to treat various conditions, such as headaches, rheumatic pains, colds, congestion, and anemia (12). Betulinic acid is generally found in low concentrations in nature. 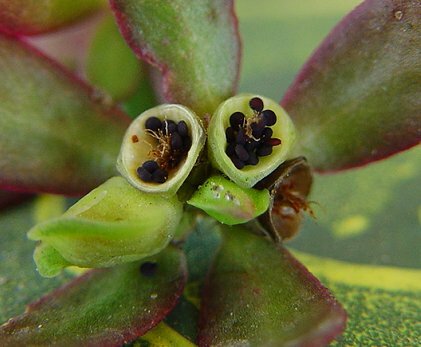 However, the rare exception is buckbean (Menyanthes trifoliata) – a bog plant native to the United States that contains a high concentration of this compound. Betulinic acid can also be found in self-heal (Prunella vulgaris) and rosemary (14, 15). And to throw out just a few more examples before we wrap up this section, several additional medicinal mushrooms have been reported to contain pharmacologically active triterpenes. The reishi mushroom (Ganoderma lucidum) is one example among many. Not only does reishi contain several triterpenes, it has been reported to contain 3 times the total amount of triterpenes as chaga (16). To summarize: Triterpenes are responsible for many of chaga’s medicinal effects, though other fungi – notably the reishi mushroom – contain greater numbers of these compounds. Additionally, if you are specifically seeking betulin or betulinic acid, other plant parts and species can be used. 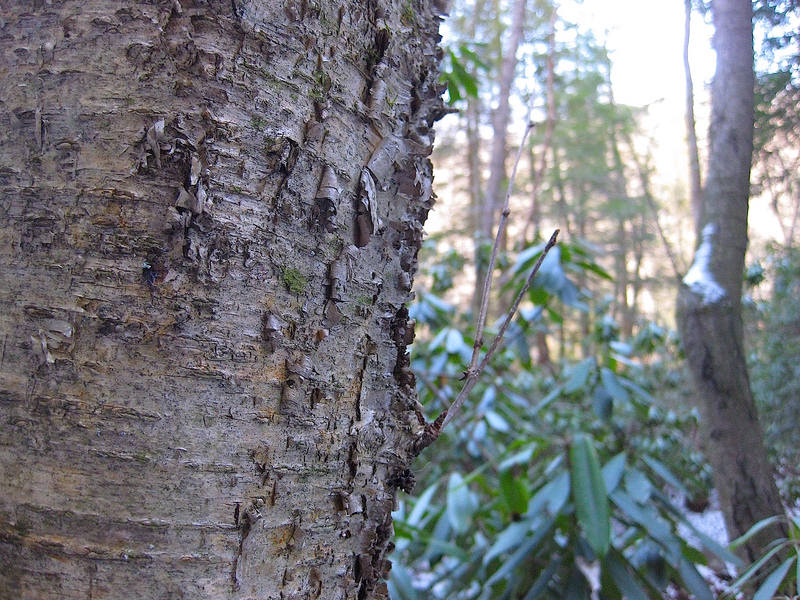 Examples include birch bark, birch sap, birch polypore, alder bark, buckbean, self-heal, and rosemary. Enough with the triterpenes. Let’s look at another fraction – the polysaccharides. In addition to its content of triterpenes (can’t get away from them, sorry! ), chaga contains a diverse group of molecules known as polysaccharides. These molecules act, among other things, as antioxidants (17) and immune system regulators (18). Obviously, chaga isn’t the only mushroom that contains polysaccharides, as these compounds form the structure of fungal cell walls. Polysaccharides are ubiquitous in the fungal kingdom. And in fact, other mushrooms contain the same amount of, if not more, polysaccharide fractions than chaga. For example, the Indian oyster (Pleurotus pulmonarius) and the golden oyster (P. citrinopileatus) have been shown to contain the same number of polysaccharide fractions as chaga. 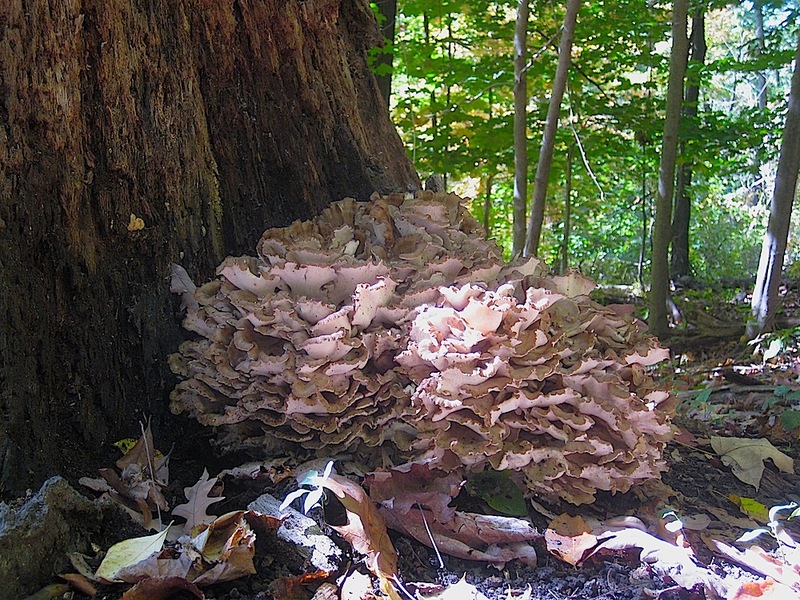 What’s more, Leucopaxillus giganteus, maitake (Grifola frondosa), and hemlock reishi (Ganoderma tsugae) all contain more polysaccharide fractions than chaga (19). These mushrooms have routinely been studied for their medicinal actions, and while I understand that more does not always equal better, it is worth noting that several species outperform chaga in the polysaccharide numbers game. To summarize: Chaga contains structural components known as polysaccharides. These compounds, of which beta-glucans is one class, display antioxidant and immuno-regulating properties. Many medicinal mushrooms contain immuno-regulating polysaccharides, including reishi, maitake, lion’s mane, and shiitake. Polysaccharides from a few of these species may outnumber those found in chaga. Both classes of compounds discussed thus far – triterpenes and polysaccharides – demonstrate strong antioxidant activity. Oxidation is a natural process in the human body that, if left unchecked, can result in conditions such as atherosclerosis, diabetes, and Alzheimer’s disease (just to name a few). Antioxidants combat the process of oxidation by neutralizing reactive molecules in our bodies known as free radicals. Triterpenes found within chaga have the ability to scavenge a reactive and potentially damaging molecule known as DPPH. Polysaccharides within chaga can scavenge DPPH as well, though they also have the ability to scavenge a reactive molecule known as the superoxide radical (triterpenes do this as well, though to a lesser extent). This potentially destructive molecule has been implicated in numerous diseases, including diabetes and cardiovascular disease (22, 23, 24). Chaga isn’t the only resource to offer help in this situation. Within the human body, a built-in mechanism is already in place. An enzyme known as superoxide dismutase targets and neutralizes the superoxide radical, helping to prevent oxidative damage. Additionally, other species have been shown to demonstrate similar effects. For example, reishi (G. lucidum) and the umbrella polypore (P. umbellatus) both possess superoxide radical scavenging ability, and both were shown in one particular study to demonstrate the highest scavenging effects of 8 mushrooms tested (25). Another study compared the antioxidant and immuno-modulatory activities of aqueous extracts from chaga, cordyceps (Cordyceps militaris), and cat’s claw (Uncaria tomentosa). Chaga certainly demonstrated strong antioxidant effects in this study, as did cordyceps. Researchers found, however, that cat’s claw displayed the strongest activity in scavenging both the superoxide radical and DPPH – which, if you will recall, are two highly reactive molecules implicated in oxidative damage. When tested on mice, cat’s claw was the optimal species to exhibit anti-inflammatory and anti-cancer effects (26). It’s also worth noting that pure vitamin C, or L-ascorbic acid, was generally just as effective, if not more effective, in displaying antioxidant activity compared to the other three species tested (this was usually seen in higher doses). Vitamin C is very prevalent in nature, and if you’re interested in learning which wild species contain large amounts of this compound, check out this article (after you’re done reading this one, of course). To summarize: Chaga, due to its concentration of triterpenes and polysaccharides (among other compounds), displays strong antioxidant effects. Chaga is particularly effective against two reactive molecules – DPPH and the superoxide radical. Other species that demonstrate powerful antioxidant effects include reishi, the umbrella polypore, cordyceps, and cat’s claw. Vitamin C is also a potent antioxidant with impressive physiological effects. Several studies have suggested that chaga contains compounds that may be useful in the treatment of diabetes (27, 28, 29, 30). Many of these compounds have been shown to inhibit alpha-glucosidase – an enzyme that breaks down starch and simple sugars to glucose. By inhibiting this enzyme, glucose absorption slows down in the body, ultimately reducing the impact of carbohydrates on blood sugar. Chaga, with its ability to inhibit alpha-glucosidase, is therefore a promising candidate in the treatment of diabetes. Stinging nettle leaf extracts have also been shown to display blood sugar-lowering effects in patients with type 2 diabetes. Several other species possess anti-diabetic properties. The list is much too vast to include here, though an online search will be sure to offer additional assistance. To summarize: Chaga demonstrates anti-diabetic effects, notably through its ability to inhibit the enzyme, alpha-glucosidase. Similar effects have been seen in the maitake mushroom and stinging nettle. Now, we have only looked at a snippet of what chaga has been shown to do … both scientifically and anecdotally. It is no surprise that a fungus so dearly prized by many individuals exerts a vast array of biologically-pertinent effects. This article has only scratched the surface of what chaga is capable of doing. For example, we haven’t even discussed the anti-inflammatory, the anti-microbial, nor the anti-viral properties of chaga. Nor have we talked about other classes of biologically relevant compounds – including the polyphenols, sterols, and melanin – and their documented effects. While many of these compounds can be found in numerous plants, fungi, and even animals, there are some compounds that are entirely unique to the chaga fungus – ones that have not been discovered in other species. Inotodiol, an anti-tumor compound found only in chaga, is just one example (31). Remember, this article is not meant to suggest that substituting another species for chaga can serve as a complete replacement for all its medicinal effects. Nor is this article’s intention to undermine chaga’s medicinal actions by pointing out that other species may perform better than chaga in certain tests of strength. Rather, individuals who lack access to chaga, though wishing to experience similar health benefits, may find this information useful. Heck, even those with seemingly unlimited access to chaga may benefit from this information. You see, dietary diversity is essential for optimal health. Our ancestors understood this, as evidenced by the extensive number of plant, animal, and fungal species consumed as part of their traditional diets. Today, most Americans rely on only a handful of species (i.e. corn, wheat, and soy), and no matter how clean, pure, or organic these few species may be, they cannot constitute an optimal diet without the inclusion of dozens (think hundreds) more species from the natural world. And so it is with chaga. As fantastic as its medicine may be, surely our health would benefit from the addition and inclusion of other medicines from the various kingdoms of life. Not only because our health depends on it, but the health of our planet, too. We cannot excessively extract one species from the land and expect the rest of the biological world to pay no attention. And so it is with chaga. Earth notices, and Earth responds. Thanks for reading, and congrats for making it to the bottom! As always… happy foraging! Like what you’ve read? Sign up below to receive notifications for new posts, and don’t forget to check out the Facebook and Instagram pages to learn more about wild food nutrition and identification! Let’s imagine you’re walking through the forest. I like birch and hemlock forests, so let’s go there. You’ve got a field guide in your backpack, a foraging basket, and several freshly-harvested oyster mushrooms to occupy the basket. As you’re strolling down the path, you fail to notice a low-lying birch root along the ground. Another step forward and your minimalist shoe catches the root, propelling not only your body into the air, but your prized oysters as well. Never mind the oysters for now… let’s inspect that nice-looking wound on your knee (thanks, rock). It’s a small wound … nothing serious. You wash it, bandage it, and continue your trek through the forest. At home, calendula ointment and honey take care of the rest. That seems like a wise strategy … something I would surely do. In fact, there are several remedies that can help to accelerate the wound-healing process. Self-heal, plantain, comfrey, vitamin E, aloe vera, and birch bark are all popular ingredients one can find in the first-aid section of most health food retailers. “Why yes, mushrooms,” I reply. You see, while we don’t hear much about it, mushrooms have indeed been shown to facilitate the wound-healing process. No, it’s not as simple as harvesting a mushroom from the ground and rubbing it onto your skin until the injury heals. Maybe that works. Anything’s possible. It appears to be a bit more complex than that though. Through various mechanisms, several members of the fungal community have demonstrated wound-healing properties in numerous scientific studies. Which mushrooms are they, and how can we apply this information should we find ourselves stumbling over forested roots? Also known as lingzhi, the reishi mushroom is highly revered in Chinese medicine. It is one of the most beautiful mushrooms, donning hues of lacquered red, orange, and yellow, and can be found growing as an annual polypore on hardwoods, especially oaks. 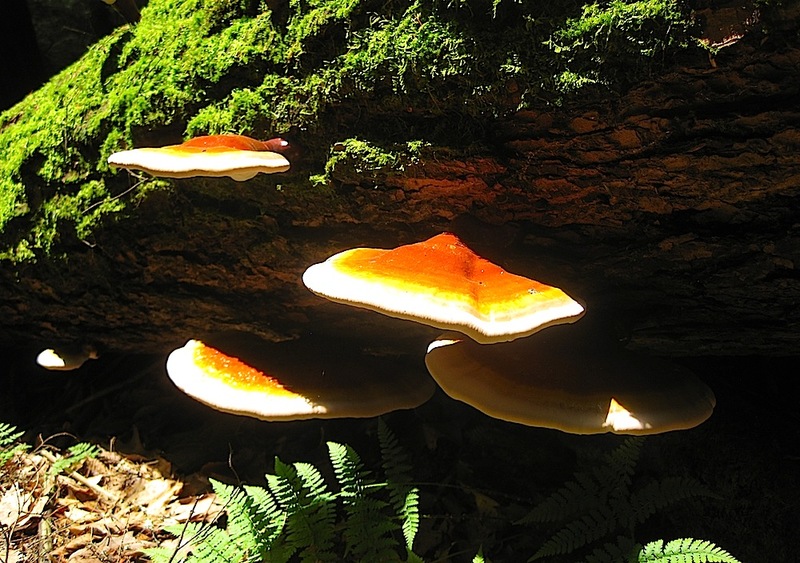 Among reishi’s medicinal effects is its ability to facilitate the wound-healing process. Several studies corroborate this. For example, in a study involving wound-inflicted rats, an aqueous, freeze-dried extract of the reishi mushroom enhanced healing activity of the wounds and increased collagen accumulation at the sites of injury (1). Other animal studies have attributed the wound-healing effects of the reishi mushroom to its polysaccharides and protein fractions, which may offer therapeutic potential, researchers suggest, in the cases of peptic ulcers, injuries to the liver (i.e. surgery), and diabetic wounds (2, 3, 4, 5). 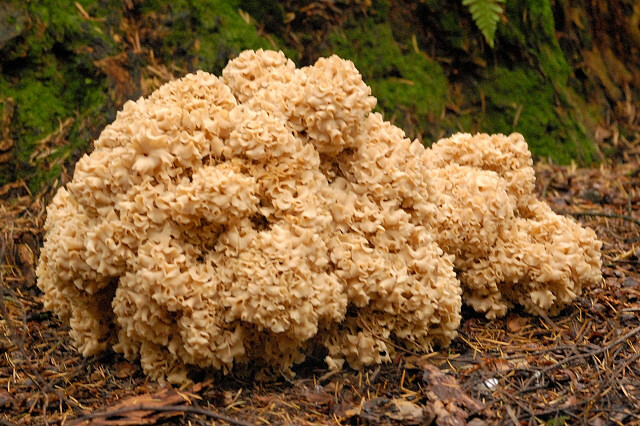 Also known as the pom-pom mushroom, lion’s mane is one of the most delectable mushrooms in the fungal kingdom, resembling crab meat in taste and texture. Lion’s mane has been well researched for its role in improving cognitive health, producing neuro-regenerative effects in numerous studies (6, 7 8), and additional research suggests that this mushroom accelerates the wound-healing process (9). In one particular study, rats were experimentally wounded and given varying topical treatments. Compared to the rats given distilled water topically, the rats whose wounds were dressed with a lion’s mane water-extract healed faster, showed less scar width at wound enclosure, contained fewer macrophages (inflammatory cells) at sites of injury, and had wounds that contained more collagen for the growth of new blood vessels. Another study found that polysaccharides within the lion’s mane mushroom were responsible for enhanced skin antioxidant enzymes and increased collagen protein levels (10). Not bad for one of the finest looking mushrooms of the forest. Aqueous extracts, which are able to concentrate water-soluble polysaccharides, are easy to create simply by simmering the lion’s mane fungus in hot water for about 2 hours. Strain the decoction, then bottle the remaining liquid. From midsummer through autumn, a large, rounded mushroom with numerous folded branches can be found growing near the bases of oak and coniferous trees. This is the cauliflower mushroom – an edible mushroom with hardly a poisonous lookalike, and one that helps to heal wounds. In a recent study, the cauliflower mushroom (pictured at the head of this article) was evaluated for its role in exfoliating and replacing the cells that comprise the outermost layer of skin (stratum corneum). Compared to rats not receiving the mushroom, the rats that were fed dried cauliflower mushroom demonstrated faster skin-renewal time. Levels of newly synthesized collagen had also increased in the rats fed cauliflower mushroom (11). In a follow up randomized, double-blind, placebo-controlled study conducted by the same researchers, human participants were split into two groups: those receiving 160 mg of dried cauliflower mushroom powder with olive oil, and those receiving placebo. Compared to the placebo group, the participants orally administered cauliflower mushroom demonstrated improvements in the integrity of the skin barrier. The researchers attributed these findings to compounds known as beta-glucans, which, in addition to improving skin health, have also been shown to demonstrate a suppressive effect on tumor growth and metastasis (12). Like reishi, the cauliflower mushroom has also been shown to accelerate wound closure in diabetic rats, which may hold promise in the treatment of diabetes in humans. Again, beta-glucans may play a starring role in the wound-healing process, as they were shown in yet another study to directly increase the synthesis of collagen (13). It’s a mind-blowing day when one discovers that all three mushrooms – white button mushroom, portobello, and crimini – are all cultivars of the same species, Agaricus bisporus. And I hope that today is another mind-blowing day when you discover that this versatile mushroom has been researched for its wound-healing properties. possesses beneficial effects on skin during regeneration after injury (14). helps to control the scarring process (15). facilitates the wound-healing processes involved in ocular (eye) related injuries (16). Agaricus bisporus, though widely available in the produce department, has yet to find its way into the first-aid section of most grocery stores. Unfortunately, ingesting white button mushrooms … or portobellos … or crimini mushrooms … may not fully heal an injury overnight. However, the limited evidence that is currently available does indeed warrant additional research which (hopefully) may lead to future clinical applications. Medicinal mushroom enthusiasts may recognize this species through its role in supporting the immune system. Research also suggests that Agaricus blazei may promote wound healing, particularly in the instances of burns. In a study published in the International Journal of Biological Macromolecules, rats who were experimentally burned and fed carbohydrates from the Agaricus blazei mushroom recovered faster than rats who received no treatment (17). The composition of the isolated carbohydrates were found to contain the compounds glucose, mannose, and arabinose. All three compounds are soluble in water, thus facilitating the easy production of personal Agaricus blazei medicine. And while the aforementioned study was performed on rats, perhaps future research will include humans as participants and uncover similar results. … well, the last part may tap into wishful thinking, I admit. Fungi haven’t made their way into mainstream first-aid products just yet (although a select few companies do currently sell mushroom salves). With all the research available on this subject, however, perhaps it won’t be too long before we see their incorporation into popular wound-healing products. What do you think? Would you consider applying a mushroom extract to a wound of yours? The research does seem promising. I’d love to hear from you! I’ll admit: My enthusiasm for mushroom hunting wanes ever so slightly in the winter months. Of course, the anticipation to locate, identify, and harvest select members of the fungal community never perishes, though its intensity remains somewhat tempered compared to the escalating excitement I experience during the late spring, summer, and autumn forays. You see, winters in western Pennsylvania are cold. Last year, a record was set when the temperature dropped to -9°F (okay, I suppose it could be worse, though this is indeed cold for Pennsylvania!). Compound this variable with the seasonal ice, snow, and numerous sunless days, and it’s not hard to see why many foragers in the Northeastern United States hang up their mushroom baskets for the season. It’s not that we, as human mycophiles, cannot tolerate these wintery conditions (polar plunging is a favorite pastime of mine); rather, the fungi themselves – at least the ones considered prized edibles – generally require slightly different circumstances in order to produce fruiting bodies. Fair enough. Nature knows best, and who could ever argue with that? But wait! “Fewer” does not imply “none.” The hillsides, fields, woodlands, trees, fallen logs, and stumps may not necessarily be teeming with an over-abundance of salient mushroom fruiting bodies in the winter months, yet mushrooms can certainly still be found. In fact, quite a few can be harvested, not just for identification, but for the table as well. Below, I describe 8 species that can be found here in western Pennsylvania (and generally the Northeastern United States) during the winter months. Of course, many more exist, and if you are interested in locating and identifying these, I’d love for you to join me on a winter plant and mushroom ID hike (see Learn Your Land for more information). For now though, here are 8 reasons why you should dust that ol’ mushroom basket off and throw on an extra layer (or two). Update: 5 out of the 8 species listed below are featured in this video! The late fall oyster mushroom (Panellus serotinus, also known as Sarcomyxa serotina) is a cold-weather fungus traditionally eaten in Japan, where it is known as Mukitake. It has a wide distribution in the United States, and is very common in Pennsylvania. It’s a tough mushroom, one that requires slow, long cooking for best texture and flavor. Still, to get wild nutrition and medicine into your body, the late fall oyster mushroom can easily satisfy that need. Speaking of medicine, research has shown that Panellus serotinus possesses anti-tumor and immuno-modulating activities, like many medicinal mushrooms (1). This is primarily due to its concentration of beta-glucans, which can easily be extracted through prolonged hot water decoctions (teas, soups). 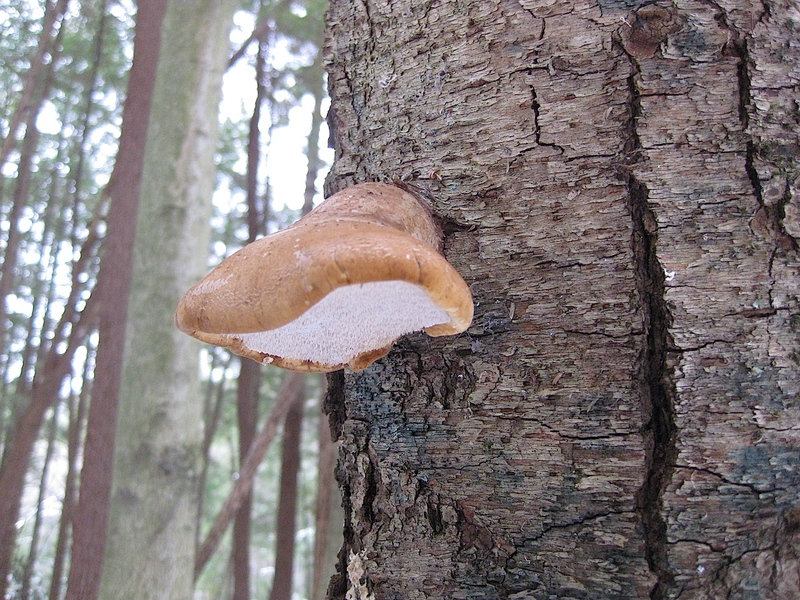 The late fall oyster mushroom, as shown in animal studies, also displays protection against non-alcoholic fatty liver disease and dyslipidemia (2). Look for this mushroom on dead hardwood logs and branches in the autumn and early winter months. Colors vary – I’ve seen blends of grey, orange, yellow, and green. Look-alikes include the mock oyster (Phyllotopsis nidulans), though its cap is mostly orange, and its smell is rather unpleasant. Panellus serotinus also resembles the classic oyster mushroom (Pleurotus ostreatus), though the latter rarely contains shades of yellow/orange, can be much bigger, and is a choice edible anyway. Oh hey, oyster mushroom. We were just talking about you (see 2 paragraphs up). This popular mushroom is fairly common, and while it didn’t quite make my immediate list of 5 easy-to-identify edible mushrooms, it would most likely be ranked #6 in ease of identification. Characteristics of the oyster mushroom generally include a smooth white (sometimes gray) cap, white gills, white to pale-lilac spore print, broad growth in clusters, and a substrate that usually includes hardwood logs (rarely conifers) and stumps. Oysters are choice edible mushrooms. They can be buggy though, and if this is true for your harvest, soak them in a bit of saltwater first before cooking (not usually a problem in the winter months). While they are included on this winter mushroom identification list, oysters can be found year round on stumps, logs, or trees. Always remember your spot, as they tend to reappear in the same place year after year. To learn more about oyster mushrooms, check out this video in which I discuss identification, medicinal benefits, and more. Brick caps are edible mushrooms that improve in taste as the year progresses. They can usually be found in the autumn months through winter, though they become less bitter generally after the first frost. This is not necessarily a beginner’s mushroom. Brick caps resemble sulfur tufts (Hypholoma fasciculare), poisonous mushrooms that grow within the same season (I found sulfur tufts not too far from where this picture was taken). Both species grow in clusters on decaying wood and produce purple-brown spore prints, though brick caps have reddish caps (paler at the margins) with grayish-purplish brown gills, and sulfur tufts usually have greenish yellow caps with greenish yellow gills (becoming darker with age). Beyond edibility, brick caps are quite medicinal. A compound known as clavaric acid has been isolated from this species (3). Clavaric acid has been shown to act as an effective FPTase inhibitor, which in non-medical speak translates to “a compound that may impede cancer proliferation.” Research suggests that these inhibitors, of which clavaric acid is one, may be effective particularly against colorectal, pancreatic, and lung cancers (4). There is no doubt that this species enjoys cold weather temperatures, as velvet foot can usually be found from October through early spring. A cultivated version is popular in East Asian cooking, though its appearance differs somewhat from the velvet foot found in the wild. Regardless, both are edible. Velvet foot (also known as enoki, enokitake, golden needle) can be recognized by its slimy orangish-brown cap, white gills, velvety-brown stalk, and growth in clusters on deciduous logs (usually elm). It produces a white spore print, which helps to distinguish this species from a toxic look-alike, the deadly Galerina (Galerina marginata). The deadly Galerina produces a rusty brown spore print and dons a ring on its non-velvety stem. The seasons for both Flammulina velutipes and Galerina marginata overlap somewhat, though with an understanding of these key differences, discernment should be easy. A choice edible, velvet foot is also medicinal. Studies have shown that certain biologically active compounds derived from this mushroom (fiber and polysaccharides) help to reduce blood sugar, blood pressure, and cholesterol (5). 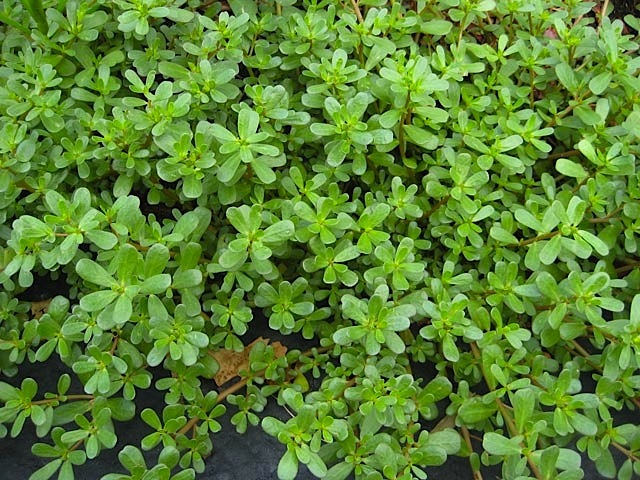 Velvet foot also possesses immunomodulatory compounds, which have been shown in studies to inhibit lung cancer cell migration and proliferation (6). Because I have yet to create the “Top 5 Sclerotia To Harvest In Winter” article, chaga will have to be included here. It’s true, the chaga fungus pictured above is not necessarily a “mushroom” in the truest sense of the word, but rather a sclerotium – a compacted, hardened mass of mycelia. Additionally, and like the oyster mushroom, chaga is not strictly a winter mushroom. Rather, it can be found year round, though it has been my experience that it is easier to find during the winter months for two reasons: 1) vegetation is minimal (leaves, tall grasses, shrubs, forbs), and 2) the dark colors of this fungus contrast nicely against the winter snow. Both of these reasons make spotting chaga, especially from a distance, much easier in winter. Be aware that if you plan to harvest chaga in colder temperatures (below freezing), the fungus may be frozen to the tree. If using a metal tool (for example, an ax), be careful not to strike the tree, and only harvest the actual chaga fungus itself. While I have included it on this list of winter mushrooms, I actually find it a bit easier to harvest during the warmer temperatures, as I can use my bare hands to aid in removal from the tree. Therefore any unnecessary damage to the host tree is kept at a minimum. Chaga, a medicinal fungus used for centuries in traditional Siberian medicine, typically inhabits the circumpolar boreal forests of the world. While it grows almost exclusively on birch trees, it has also been spotted on elm, ash, beech, and ironwood trees. For detailed information on how to locate and identify this incredible fungus, please check out a recent piece I created on this very subject, entitled Is This Chaga? A Key For Identifying This Remarkable Fungus (that’s a clickable link, by the way). One particular fungus really begins to shine this time of year when hardly a mushroom wishes to poke its fruiting body from the earth. I am referring to the aptly named turkey tail fungus. Turkey tail is not difficult to locate, as it’s one of the most ubiquitous fungi found in our woodlands. Look around at the logs, stumps, and fallen branches in your neck of the woods – and you may eventually discover turkey tail. 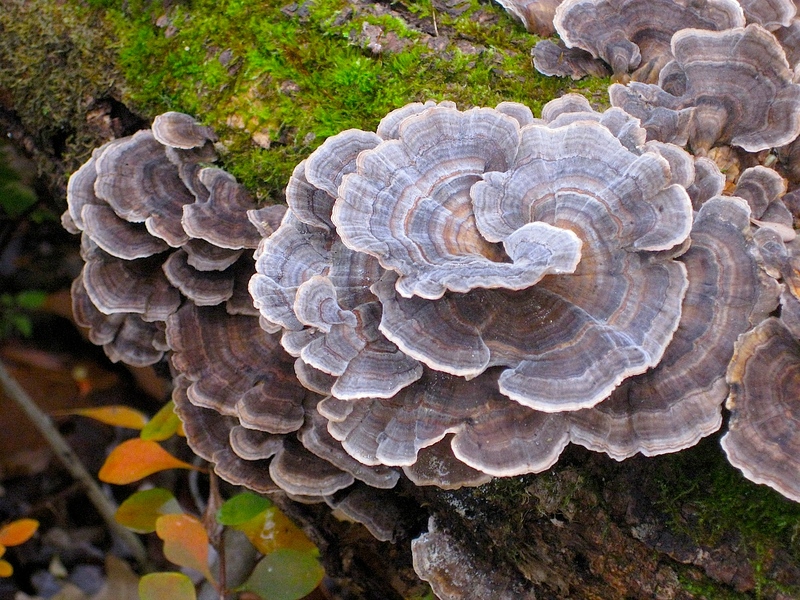 Other species within the Trametes genus resemble turkey tail, though the latter can be distinguished by its multicolored concentric zones and whitish pores on the underside. Look-alike fungi usually lack the brilliant colors of turkey tail, or they may be hairier (Trametes hirsuta). Additionally, look-alikes may lack pore surfaces (genus Stereum), or their pores may be colored. Turkey tail is not necessarily edible (too tough), though it sure is medicinal. One particular study found that turkey tail can improve immune system status in immuno-compromised breast cancer patients following conventional cancer treatment (7). These findings are extremely important, as the study was not conducted on animals, nor in petri dishes, but rather on living human subjects. A more recent human trial (again – not in animals, nor in petri dishes) found that a polysaccharide extracted from turkey tail mycelia displayed prebiotic effects in the human microbiome (stimulating the growth and maintenance of beneficial intestinal bacteria). In the same study, participants who were instead fed Amoxicillin (an antibiotic) demonstrated detrimental shifts towards more pathogenic bacteria in their microbiome, with effects lasting up to 42 days after their final antibiotic dose (8). Turkey tail is a pleasure to hunt in the late autumn and winter months – its cap providing stunning visuals amongst the senescing vegetation – though like oyster mushrooms and chaga, this fungus can be found year-round. This is one of the most common fungi found in birch forests, and like a few other mushrooms described in this post, it can be found year-round. Now, some sources report that it is best to harvest this fungus in the summer months into early fall, and I suspect this is because the growing season for the birch polypore generally includes these seasons. Hence, young specimens (which are preferred for collection) are prolific during this time. I have included the birch polypore with this list of winter mushrooms because, at least here in Pennsylvania, young fruiting bodies can indeed be found at least into January (the above photo was taken in late-December, 2013). The birch polypore is fairly easy to recognize. It typically has a tan cap with inrolled margins, a whitish pore surface, and a somewhat tough (though not rock-hard) texture. Growth is almost exclusive on living or dead paper and yellow birch trees. A multipurpose fungus, its utility extends far beyond food and medicine into the survival realms of fire making and blood coagulation. Medicinally, birch polypore has been shown to be an important species with anticancer, antimicrobial, antiviral, and antibacterial properties. To receive the concentrated power within the birch polypore, you can use freshly picked young specimens, thinly sliced and boiled, as food. Teas and tinctures can be made as well. This fungus contains betulinic acid (9) – the same compound in chaga, derived from the birch tree, that confers several health benefits (anti-tumor, anti-cancer). It has been my experience that the birch polypore is much more common than chaga (more frequent sightings, more fruiting bodies). It seems that medicinal diversity is essential for great health, and cycling between chaga and birch polypore (instead of relying solely on chaga) can benefit not only the health of the boreal forests, but our personal health as well. While hunting mushrooms in the early summer days, you may discover this species. While hunting mushrooms in autumn and early winter, you may also discover this species. The wood ear, also known as the jelly ear, is an edible mushroom found throughout the year, usually growing in clusters on logs, branches, and stumps of both coniferous and deciduous trees. Characteristics of this mushroom include its cup-shaped, ear-like appearance, its reddish-brown color, rubbery to gelatinous texture, and a surface that usually includes minutely fine hairs. The wood ear is indeed edible and, like many mushrooms, it also possesses numerous medicinal properties. Studies have shown that Auricularia mushrooms contain anti-viral, antioxidant, anti-tumor, and immuno-supportive compounds (10, 11, 12, 13). Additionally, a water soluble polysaccharide from Auricularia fungi has been shown to reduce triglyceride, LDL-cholesterol, and total cholesterol levels in animal studies (14). Okay, I couldn’t stop at 8. Can you blame me though? Consider this one a bonus, and instead of explaining this beautiful mushroom through text alone, I thought I’d introduce you to the blewit mushroom through video. If you’re interested in learning its key identifying characteristics, hit the play button! In case you’re just joining the party, we’re finishing up a discussion on 9 mushroom species we can harvest during the winter months (at least in the Northeastern United States) for food and medicine. 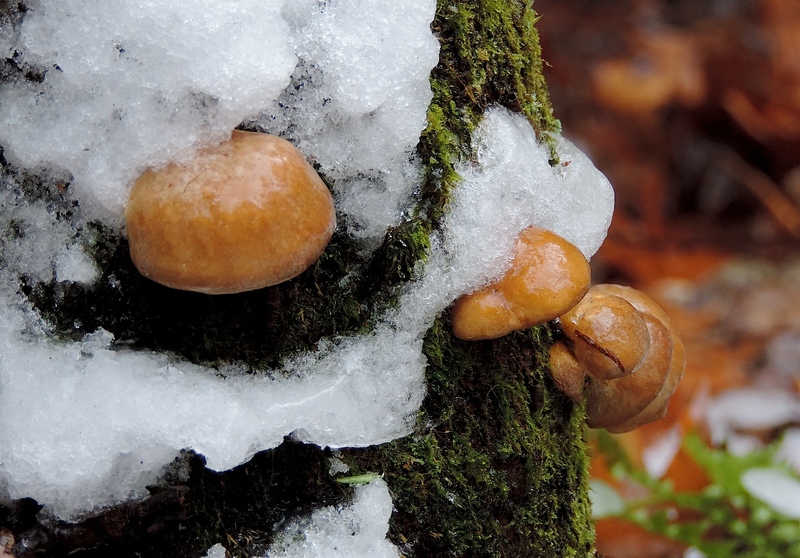 During your next winter excursion, see what kinds of cold-loving fungi can be found. The number may be greater than you think. Yes, I know … I opened up this article by expressing a slight ebbing to the excitement I feel for winter mushroom hunting. Personally though, it is a rewarding activity, for even in the midst of “the great biological nap” (aka winter), a harvest – heck, even a sighting! – of just two or three fruiting mushroom bodies can seem like I’ve hit the jackpot. Yes, this is how I feel even after finding a single mushroom during a winter walk. Am I alone on this one? Let me know, I’d love to hear from you! One of the easiest ways to implement a medicinal strategy is to combine our medicinal plants and fungi with foods that taste great. Take, for instance, this recipe for hot chocolate. Instead of using Swiss Miss and tap water, we’re going to use only the finest ingredients to create a drink that’s beyond next-level good. Try it out, and let me know what you think! Oh yes, one more thing: please check out the video I created down below. In it, I discuss this particular recipe, medicinal properties of the ingredients, and more! Directions: Heat chaga decoction (if previously cooled) to a near-simmering temperature. Combine all ingredients in a blender, blend for 20 seconds, and enjoy! When transitioning into the wild food lifestyle a few years ago, a particular plant was frequently mentioned in conversations I had with friends and mentors. Assuming you’ve read the title, you can already guess which plant that was: the seemingly formidable stinging nettle (Urtica dioica). I sought out the stinging nettle plant and discovered a patch a few miles from my home. With gloves and a bag, I carefully transplanted a few plants from a blanketed hillside to an area near my front door. Now, five years later, a beautiful stinging nettle patch greets me as I step outside my home. It may not be entirely “wild,” but it certainly retains a similar robustness of any truly wild and healthy plant species. Stinging nettle is an extremely versatile plant that has been used for countless years as a food, medicine, dye, and fiber material. In addition to its traditional applications, stinging nettle also has years of scientific research validating its claims as a health-promoting plant. In this post, I’d like to summarize six double-blind research trials that elucidate just how powerful stinging nettle can be for human health. Benign prostatic hyperplasia is a noncancerous enlargement of the prostate gland. It is estimated that around 50% of men will experience symptoms of enlarged prostate by the age of 60, and 90% of men will experience symptoms by the age of 85 (1). In one study, stinging nettle was shown to display beneficial effects on the treatment of symptomatic BPH. Participants taking stinging nettle over the course of six months as part of a double blind, randomized, placebo-controlled trial reported improved lower urinary tract symptoms, greater improvements in peak flow rates, and a modest decrease in prostate size compared to the placebo group (2). In another randomized, double-blind, placebo-controlled trial involving 100 men, clinical symptoms of BPH were improved in participants taking stinging nettle more so than in those taking placebo (3). And if two human trials don’t do much to persuade you, perhaps a third will. A 2004 German study looked at the effect of stinging nettle root extract in the year-long treatment of BPH in 246 patients. Upon completion of the study, researchers concluded that stinging nettle root extract may be a safe and therapeutic option for BPH, as patients taking stinging nettle experienced a greater improvement in symptoms than in those taking placebo (4). Take note: it seems that the root of stinging nettle is more effective in treating symptoms of benign prostatic hyperplasia than the aerial components, though the latter certainly offer nutritious and medicinal benefits of their own. Type 2 diabetes, a condition characterized by insulin resistance, is the 7th leading cause of death in the United States. With nearly two million new cases diagnosed each year in the United States, it is important, now more than ever, to discover treatment methods that are cost-effective and safe. A study from 2011 analyzed the effect of a stinging nettle extract on insulin sensitivity and inflammatory markers in patients with type 2 diabetes. After eight weeks of treatment, patients taking the stinging nettle extract showed a significant decrease in certain inflammatory markers (interleukin 6 and tumor necrosis factor) compared to those taking placebo (5). Type 2 diabetes is associated with high levels of glucose in the blood, and we already know that stinging nettle can improve inflammatory markers in patients with this condition. Is there any evidence that stinging nettle can help lower blood sugar levels? Indeed there is. A 2013 study looked at the hypoglycemic effect that stinging nettle leaf extract has on patients with type 2 diabetes. Compared to placebo, patients taking the leaf extract, in conjunction with conventional oral anti-hyperglycemic drugs, experienced reduced fasting blood glucose levels, two-hour postprandial blood glucose levels, and HbA1c numbers (6). Commonly referred to as “allergies,” allergic rhinitis is a type of inflammation of the nasal airways. It can occur when we breathe in particles such as pollen, pet dander, and dust. 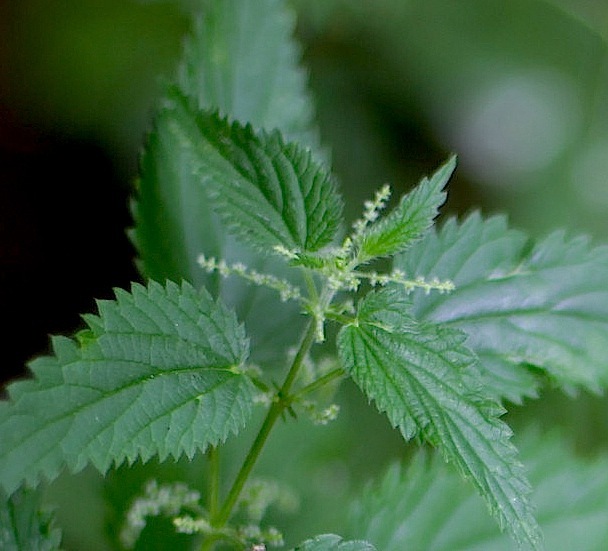 Stinging nettle is often recommended for those afflicted with seasonal allergies, and for good reason. In a randomized, double-blind study completed by 69 participants, a freeze-dried preparation of stinging nettle fared better than placebo in treating allergic rhinitis (7). And there we have it – six double-blind human trials that demonstrate the beneficial effects of stinging nettle. Having been through institutionalized, conventional nutrition training, I can tell you that plants (and other forms of “alternative” medicine) are not spoken highly of in mainstream medicine. I was often told that many studies involving plant medicines hadn’t yet been conducted on humans, and the ones using animals couldn’t necessarily be applied to human health. Or in the case that there were studies done on humans, there simply weren’t enough of them to make any solid conclusions. Well, six human trials may not be a huge number, but it’s definitely a start. It’s a rare day when I don’t consume a medicinal mushroom (or two or three) in some form or another. Lately, I’ve been ingesting them in the form of dual-extracted tinctures (first in alcohol, then in hot water, and finally combined), but I also eat them, create hot water decoctions, and will consume supplemental capsules as well. 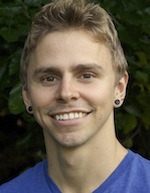 Why are mushrooms a staple of my health protocol? After spending years reviewing the scientific literature, in addition to studying the traditional uses amongst different cultures, I’d be doing my body a great disservice by ignoring the information I’ve hunted and gathered. Medicinal mushrooms, it turns out, have been shown to possess anti-cancer, anti-inflammatory, anti-viral, and immunomodulatory properties. I discipline myself to stay up-to-date with the current research, and I’ve recently discovered three separate studies that analyzed the anti-tumor effects of three different medicinal mushrooms. Also known as lingzhi, reishi mushroom is highly revered in Chinese medicine. It is one of the most beautiful mushrooms, donning hues of lacquered red, orange, and yellow, and can be found growing as an annual polypore on hardwoods, especially oaks. A new study looked at the effects of certain compounds derived from reishi mushroom on tumor inhibition in mice with Lewis lung carcinoma (1). The compounds administered to the mice were beta-glucans, which are polysaccharides found in fungal cell walls. The mice were divided into 4 groups: a control group (no treatment), radiation only group, beta-glucan only group, and a beta-glucan/radiation combination treatment group. The results were rather remarkable. Compared to the the control and radiation-only treatment groups, the groups administered reishi beta-glucans had significant decreases in the volume of primary tumors, as well as less hair loss and less severe wounds. They also displayed less incidence of metastasis, which is the spread of cancer from one part of the body to another, and demonstrated significantly longer survival time compared to the groups not receiving reishi mushroom beta-glucans. Overall, the most inhibitory effects were seen in the mice that received both reishi beta-glucans and radiation therapy, suggesting that reishi mushroom could potentially be a very important complementary treatment to the way conventional medicine currently manages cancer. 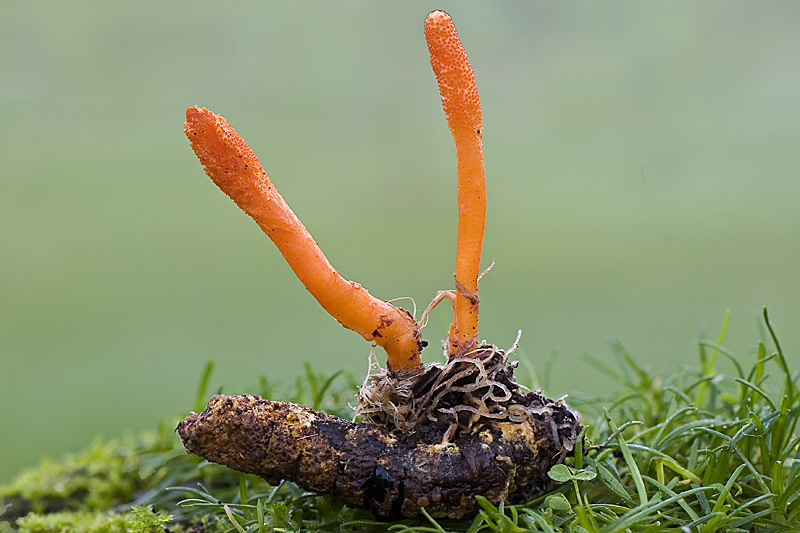 Cordyceps has to be one of the most fascinating fungi. Its mycelium colonizes the pupa or larva of a butterfly or moth, eventually expelling forth the reproductive structure (mushroom) directly from the insect. Past research has elucidated its aphrodisiac, anti-inflammatory, and antioxidant properties, and new research has discovered that Cordyceps may suppress tumor growth of human malignant melanoma cells. Published in the International Journal of Oncology, this new study found that an extract of Cordyceps militaris suppressed tumor growth by inducing programmed cellular death on human malignant melanoma cells, a process known as apoptosis (2). Additionally, the extract displayed anti-angiogenic properties. Angiogenesis is the process whereby new blood vessels are formed from the preexisting vascular system. While this is a normal part of the wound healing process, angiogenesis is also involved in tumor progression from the benign to malignant state, and inhibition of this process – for example, through Cordyceps administration – could potentially be a viable way to mitigate cancer progression. Antrodia salmonea is a medicinal mushroom used in traditional Taiwanese medicine to treat diarrhea, hypertension, and liver cancer. While there is not a substantial body of evidence documenting the medicinal properties of Antrodia salmonea, a few studies have previously analyzed the antioxidant and anti-inflammatory properties of this fungus. New research published in the Journal of Ethnopharmacology studied the anti-tumor activity of Antrodia salmonea on human promyelocytic leukemia cells (3). The researchers discovered that administration of the mushroom in vitro and in vivo reduced tumor growth in the cells by inducing apoptosis (programmed cellular death). In addition to testing their hypothesis on human cells, the researchers performed additional experiments on mice, and found that Antrodia salmonea was effective in delaying tumor incidence by reducing the size of the tumor. This is the first study to confirm the anti-tumor activity of Antrodia salmonea against human promyelocytic leukemia, a cancer of the white blood cells. Reishi, Cordyceps militaris, and Antrodia salmonea are certainly not the only fungi that possess anti-tumor properties, as many more members of the fungal kingdom certainly do. True, the aforementioned studies were not performed on humans, but the results are still promising and warrant further experimentation. Isn’t it surprising, though, that with all the great research performed around the world, and with documented traditional applications amongst several cultures, mushrooms still have not been accepted as part of conventional Western medical treatment?